Become a Mandate Partner Today! Join the company of believers who are helping support Stan Jackowski Ministries taking the Gospel message into all the world. “Go ye into all the world and preach the Gospel to every creature . . . And the Word is confirmed with signs following.” (Mk. 16:15; 20) The Mandate given to Brother Stan is to take the power of God’s salvation touch to every creature. Praise the Lord All Nations! Indeed, this ministry has been preaching the good news since 1986. Many healings and miracles have happened during those years. In Jesus name, many people have been set free from oppression, healed from sicknesses, saved, and baptized in the Holy Spirit. Brother Stan has been writing and NOW, the Holy Spirit is accelerating him to begin releasing several books. There is a sound of revival in the air! 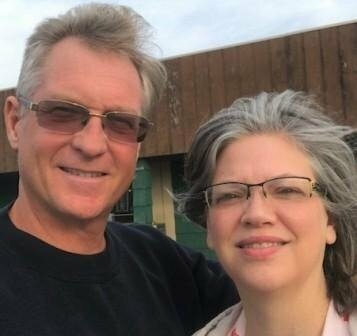 Help Stan Jackowski Evangelistic Association by supporting monthly evangelistic meetings, mandate project tv, audio cd’s, & literature ministry! You as a Mandate Partner will receive Free teaching audios, book offers, newsletters, responses, and updates! Help me continue reaching the world with the message of The Mandate. There are open doors to continue holding Conferences throughout America and future training nationals on foreign soil. We are believing for partners to stand with us monthly. We know with your generous support we can accomplish what the Holy Spirit been placed upon our hearts. Mandate Project TV as all of our outreaches is a faith-based mission. Online giving is one of our offering plates. If you have received from Stan Jackowski Ministries, then it is your time to give. If you can give $5.00, $10.00, $50.00 or more you will be blessed! If everyone will do their part we can accomplish together The Mandate to win souls and training believers for the work of the ministry. (Eph.4) “Give, and it shall be given unto you; good measure, pressed down, and shaken together, and running over, shall men give into your bosom. For with the same measure that ye mete withal it shall be measured to you again.” (Lk.6:38) Thank You for your financial gift. Be blessed and running over with all good things from God our Father. For HIS glory. Make your donation to Truth Family Ministries. We love and are praying for YOU our partner’s! In His Service, Brother Stan Truth Family Ministries, Inc. AKA Stan Jackowski Ministries is non-for-profit 501C3. This organization was founded for the sole purpose of reaching the world with the saving knowledge of Jesus Christ. Your giving is tax deductible.